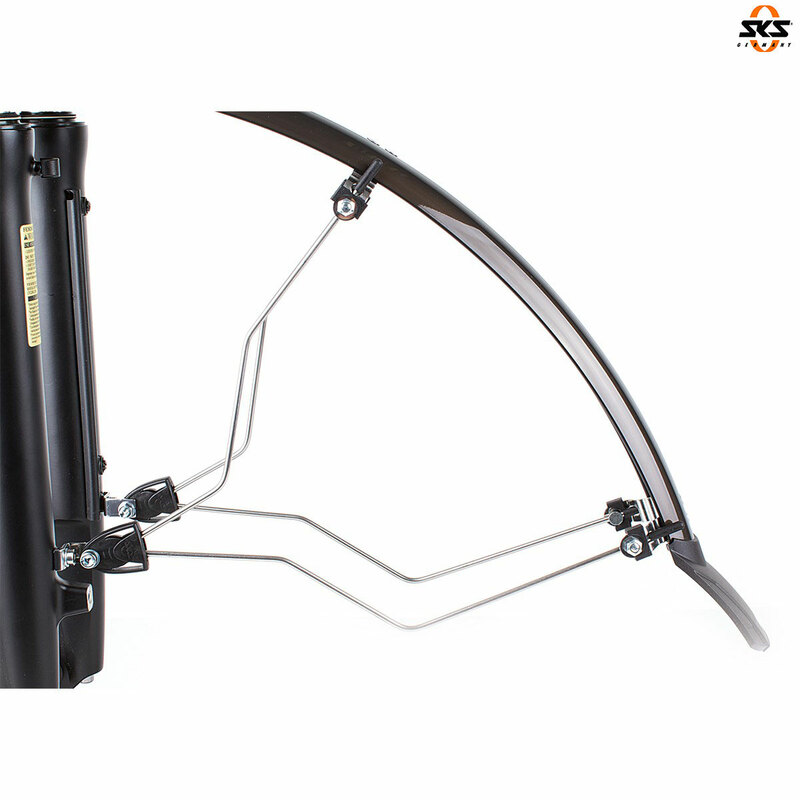 Front mudguard fitting kit for SUNTOUR forks. Includes angled brackets and pre-bent stays for easy mounting on fork's outer legs with threaded holes. SECU “pop-out” clip fittings avoid blocking of the wheel when an object gets between tyre and mudguard. Suitable for BLUEMELS, LONGBOARDS and CHROMOPLASTICS.